Water bottles are one thing that clings to you wherever you go. From the gym to work, a walk to a shopping spree, it always occupies a place in your bag. A great source of keeping oneself hydrated at all times, it's a necessaity. Discover and shop unique water bottles, that would motivate you to drink more and keep you healthy. Water bottles are one thing that clings to you wherever you go. From the gym to work, a walk to a shopping spree, it always occupies a place in your bag. A great source of keeping oneself hydrated at all times, it, however, becomes a little bulky to carry on certain occasions, pertaining to which you don’t take it with yourself and then regret later. Water Bottles thus are one of the most important things you must take with yourself. However, do away with the ordinary cold drink bottles you take along. Instead, carry cool water bottles with you wherever you go. And if size becomes an issue, we have a solution for you! Colourful water bottles do look good. And if they cater to your requirement, it’s like the icing on the cake. So, stop your struggles wondering whether to take a bulky bottle with you every time. There are some cool water bottles available now that can fulfill all your needs and even more. 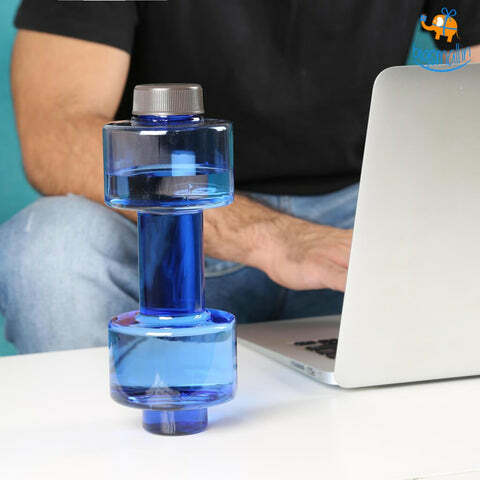 No, you don’t even have to browse to buy water bottles online in India or abroad, because we at bigsmall.in have brought a wide variety of creative and unique water bottles to meet your demands. People always wonder if detox water is good to drink. The answer undoubtedly is ‘Yes’. As the name itself suggests, detox water removes all toxins from the body and helps in improving metabolism and also initiates weight loss. It also tastes delicious, contains no calories and fills your stomach so that you feel full. Detox water for skin is the natural rejuvenation method you’ve been searching for. Thus, drinking infused water is highly beneficial for people of all age groups. Don’t stress about how to get yourself detox water, because, we at bigsmall.in have brought for you a fruit infuser water dispenser to make sure you stay healthy. Fruit infuser bottle contains a perforated cylindrical container to put in your fruits like lemon, cucumber, strawberry etc according to your taste requirement. So, all you need to do is add the fruits and the water. It is one of the most creative gifts at bigsmall. The flavored water is ready to keep you refreshed and healthy for a long time. Also, they are available in different colors. Choose your favorite color and carry it while you go for a workout or to the office. As you workout to keep yourself fit, an inspiration from even the trivial things help you move forward. And if it’s your water bottle doing that for you, it is a blessing in disguise. Water bottles are your fitness partner. While exercising they are the ones keeping your thirst away. That’s why we at bigsmall.in have brought a collection of the best bottles for a workout for you to choose according to your interest. What is better than a reminder from a bottle itself? The dumbbell shaped water bottles do exactly that. Available in different colours, it’s your workout companion. Shaped like a dumbbell, it, in fact, occupies less place in your gym bag! Jogging is what you love but drenching yourself in sweat is not the thing you would want to experience. Carrying different items to refresh you and quench your thirst, however, is not possible. That is why we bring to you a double combo in the spray water bottle. Drink the water when you are thirsty and spray the water when you feel sweaty or drowsy. It is both your fitness and work partner. Oh, and yes, It too is available in the different colour variants. Pick your favorite colour and give it a place in your bag. While cycling, carrying a bottle is always difficult. You search for places to keep it safe and avoid its fall. But what if you get a water bottle that fits into the cycle itself? A problem solver, definitely. Well, a sports glass water bottle does exactly this. Plus, the silicone cover helps maintain the temperature while you store water, milk or juice as per your requirements. When we talk about gym bottles, bigsmall water bottle cannot be missed. The bottle, like its name, is a small attractive bottle for you to take to workout. The beautiful colours and a handle make bottle very attractive for use in public and occupy a very little space in the bag. So even if you are going for a shopping or an urgent work where you can’t carry the awfully big bottles, you could keep BS bottle with you. If you have a habit of drinking a protein shake after your workout, we have an instant shaker bottle to meet your needs. Shake the bottle and mix the ingredients to prepare flavored water in a jiffy with the shaker. This too doesn’t occupy much space in your bag so you can carry it along easily! Appreciating one’s employees always boost their performances and keeps them loyal towards the job. Looking after the needs of the company’s clients and employees certainly is very important for a healthy working environment for the company. Thus, giving away gifts to the employees or the clients on festivals or appreciating them for their contribution has become a necessity today. And if you are searching for corporate gifts for employees, personalized water bottles are a great choice. A dumbbell bottle, infuser bottle and the bigsmall bottle have the personalized touch which could prove to be a gesture of appreciation to your employees. And if you are looking for corporate gifts for your clients, bottles like these will help you in maintaining a healthy relationship with them, something that's very important. Thinking for corporate gifts for doctors, are you? Well, the med guys always are the most particular one when it comes to keeping a check on the health. And if you are a doctor and wish to give away gifts to your patients, fellow doctors or assistants, a pill organizer is the aptest bottle for you to vouch for. With different mini cabinets to store the pills for each day, it helps one remember about the pills to be taken and taken on time. So, no more excuses would work for missing out on the meds if the Doc has this bottle to keep a check! Bring your search for the unusual gifts to an end because we at bigsmall.in give you a plethora of best gift online on our website. Do not struggle for finding unique gift ideas for unique personalities of your life. Also, don’t let the distance make you think twice about giving gifts to people who stay away. Because with us, you can send gifts online just the way they should. Like gifts. 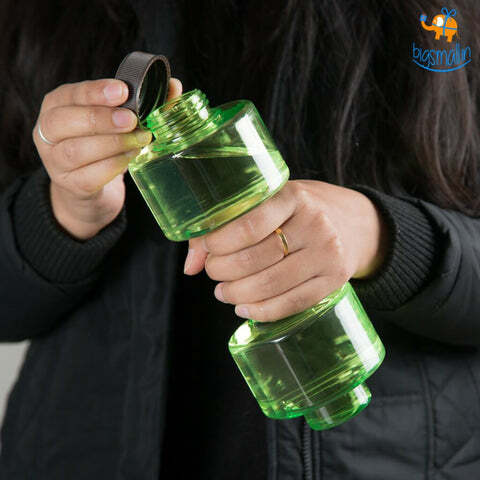 So, whether you are searching for corporate gifts for wondering of some gift ideas for fitness freak to give them on his/her birthday, these different water bottles are the ones you should grab away. Not only will they help them in their training but also prove a companion during their other exhausting chores.